The Game Award just told the winners last Friday (7/12). The winners of the nominations have been notified and the game is known which are the best and the best in each field. Based on the many nominations and awards, we made the best game arrangement in 2018. Just as the game line must be played before 2019. Why? Because in 2019 there will be not a few sophisticated games and a number of these games have been announced at the prestigious Game Award event. God of War is surprising. Changing the gameplay is the biggest and luckiest bet for the SIE Santa Monica Studio because they successfully won the bet. This latest God of War found a score of nine out of ten in all sectors. It's not wrong if they win three awards in the Game Award: Game of the Year, Best game Direction and Best Action / Adventure Game. Marvel is out of luck. Spider-Man's entry this year must be followed by so many great games that even in the Game Awards, Spider-Man did not find an award at all. However, the story and gameplay that is polished is very neat and mature that makes it not a few in the nomination. Because of this, people don't say the game a little as among the best Spider-Man games ever. The strongest nominated rival for the recipient of the Game of the Year award. RDR2 has a powerful story and far-reaching graphics. The number of game direction options as well as open world are giving up the most beautiful views, making not a few gamers like this game. As a result, this game won the Best Narrative, Best Score / Music, Best Performance to Best Audio Design award. Very rarely are there independent games that can compete with so many large studios, but the proof is Matt Makes Game's success on that matter. Nominated as Game of the Year, Celeste was the only indie game to take the title. Celeste himself won the Games for Impact and the Best Independent Game. Dead Cells is one of the nominees for Best Independent Game. Offering side scrolling hack n slash action games, Dead Cells makes a lot of people play it repeatedly. This game the system is a bit similar to Strider Hiryu, but is left an independent touch. You will not repeat a little because the level of obstacles is quite high, but certainly you will enjoy it. In the Game Award, Dead Cells won the Best Action Game. At the beginning of 2018, each person must negotiate this game because of the most epic gameplay. You are required to hunt monsters, but the monsters contained are not small which can be defeated alone. It took a number of people to overthrow it, but that was the charm of Monster Hunter: World. This series is the first series issued by international users, not specifically for Japan. If you want to drain your time together with family or friends, Overcooked 2 is the best choice. Recognized as the Best Family Game, you will cook together with your relatives and complete one order. Looks easy, but believe me, this is a difficult game that requires a high level of cooperation. You will practice repeatedly with your relatives to be able to really complete this game. No need to be asked. For those out there, Fortnite's popularity is better than the Unknown Battleground Player (PUBG) and that's why this game must be tried. 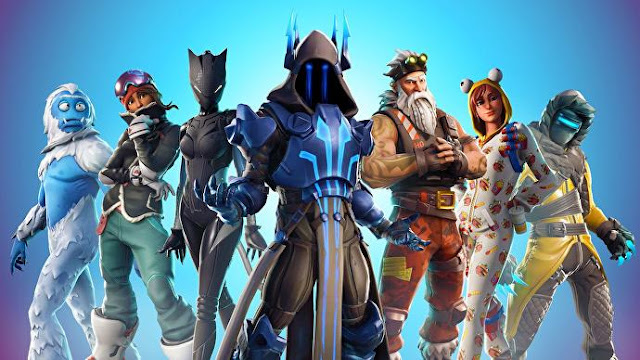 As the Best On-going Game, mentioned Fortnite continues to feel interesting developments until this game gets better from time to time. Want to learn this game? First check out the Ninja Streamer game. What do you think? What game should be included in the composition of the best game 2018? There must be not a few, but if you immediately think of a number, just share your opinion in the comments column. Let's exchange ideas with other gamers. 0 Response to "The Game that Gets the Best Awards in 2018"